Don’t get hung up on! 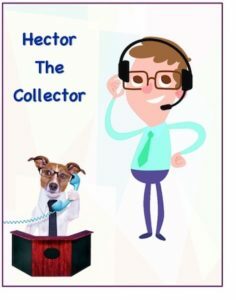 - Credit Mediators Inc.
From time to time I receive a claim in which the creditor has forewarned me that the debtor hung up on them. Subsequently, when I called the debtor, they told us that the creditor was saying this and that and they needed to abruptly end the call. Although it’s understandable there are going to be some difficult communication moments, let me offer a couple of ideas that will minimize the possibility of hearing a loud click while you’re in the middle of a conversation. Keep the language polite – Of course we fully understand never to use any foul language or counter the other person’s tone with the same unpleasant force. That’s only going to escalate the conversation out of control. I’m talking about keeping your words on a professional level and delivering them at a reasonable and understandable pace. This will keep everyone calm and cool, and the negotiation process flowing. Don’t question the veracity of some excuses – Let’s say you know the person in charge of paying your bill was on a vacation in Hawaii but you’re told the reason for the delay is that they were in the hospital. If you’re now talking to them about the bill, it’s better to move past the untruthfulness and confirm when payment will be made. Sometimes cornering them in a fib will only backfire and result in suddenly hearing a dial tone. Keep the interruptions to a minimum – Try not to turn your conversation into a cable news program where the host keeps interrupting the guest. We often need to let the other side explain a difficult situation or just let them get things off their chest. Surprisingly, the extra few minutes to listen, providing an empathetic ear, might be the key to turning a past due account around. Don’t nitpick – In some cases, the reasons for a dispute against the bill has to do with things that the debtor did (or failed to do) in the course of the contract. If they failed to do something minor that really had very little impact on the bigger picture, let it go. By drilling down on the small stuff, you’re only going to antagonize an already stressed situation. Hope the above will help you to keep the physical circuit lines of communication open.